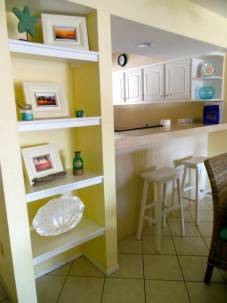 A Vacation Rental located at Bradenton Beach. 93 Steps from beautiful Bradenton Beach! 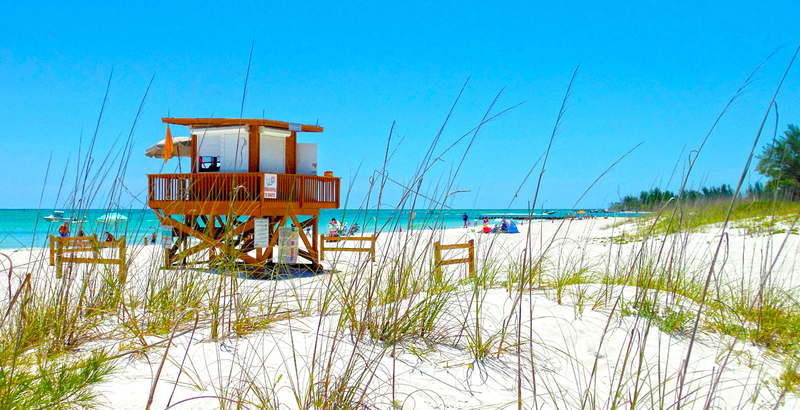 Runaway Bay Vacations is located on Anna Maria Island, voted a Top Vacation Destination for 2015 by Trip Advisor. 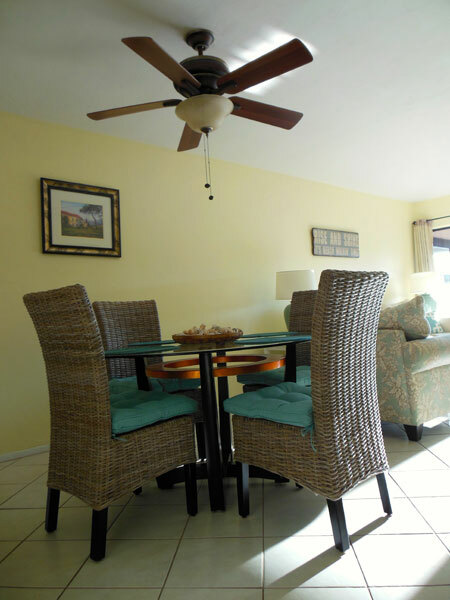 This two bed two bath weekly condo rental is just a short flip-flop stroll across the street to the white sand beaches of the Gulf of Mexico. 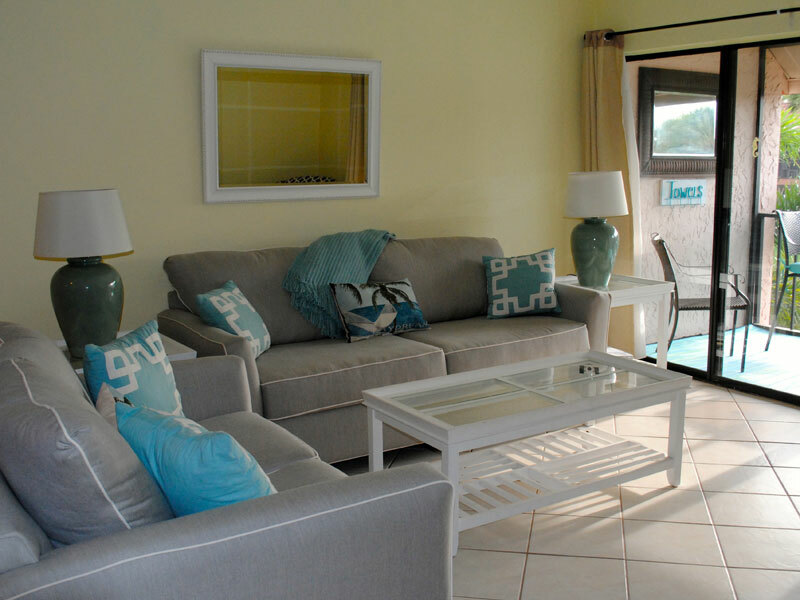 Enjoy your own private screened lanai, the largest heated pool on the island, a gym and tennis courts. Plus the famed Bridge Street, and all that it has to offer, is within walking distance! The living room includes an all new queen sleeper sofa, love seat and armchair. Additionally, there is a 40” flat screen television with cable, a DVD player and WiFi. Should you decide to stay in for a meal, there is plenty of room for up to six to dine at the table. Additionally, there is a breakfast bar which accommodates two. 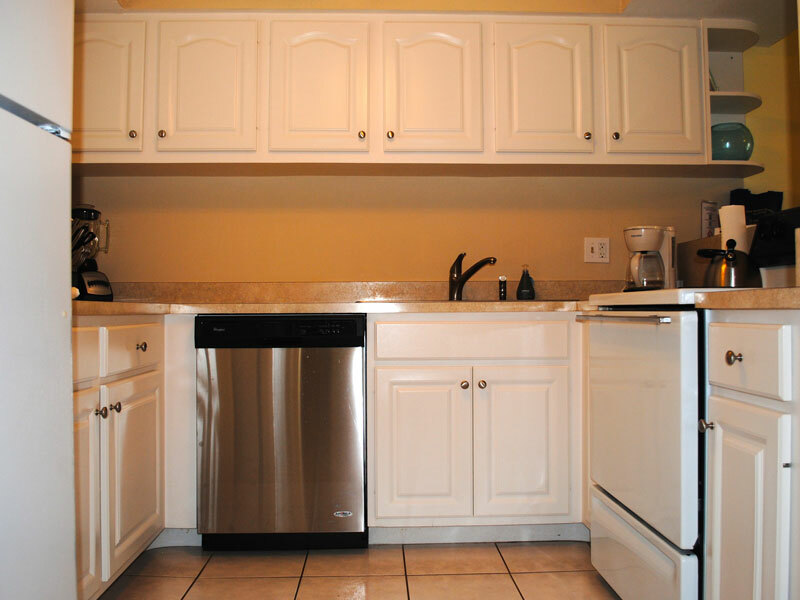 The full kitchen is equipped with a new ultra quite dishwasher, coffee maker, toaster, microwave, dishes, utensils, pot and pans. Everything you need to cook a complete meal. 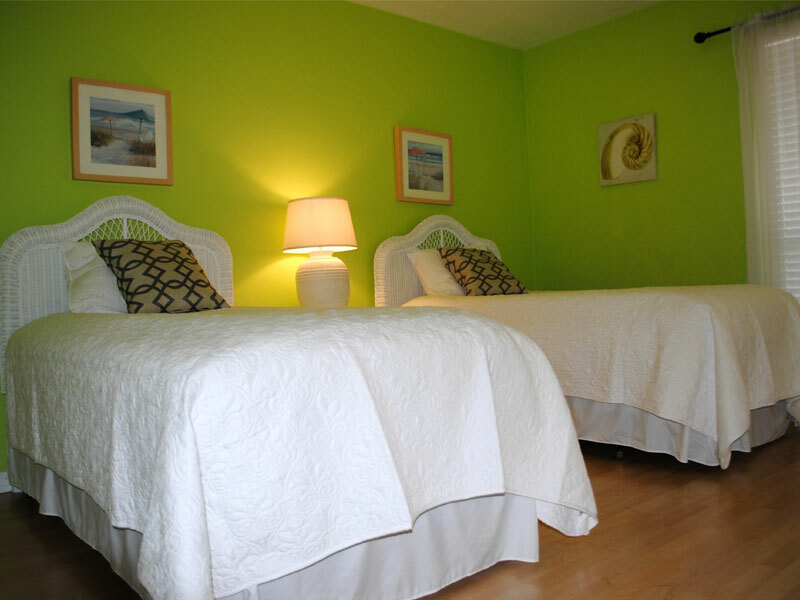 The master suite is fully furnished and includes a large and comfy king sized bed, full mirrored dresser, two night stands and a flat screen TV. The suite also includes a walk in closet and private bath with shower. 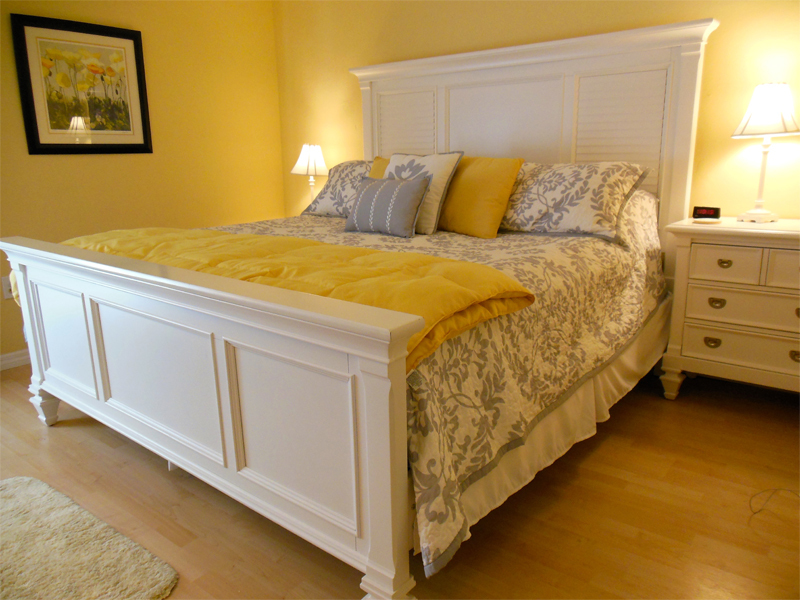 The guest bedroom includes two twin sized beds and is separated from the master bedroom for additional privacy. 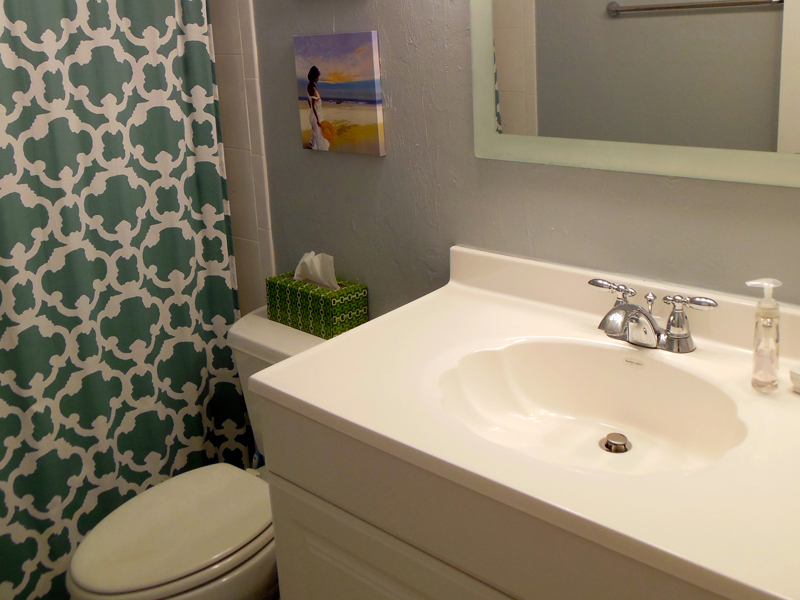 The master bath is attached to the master bedroom. It includes a toilet, a sink and a full shower. 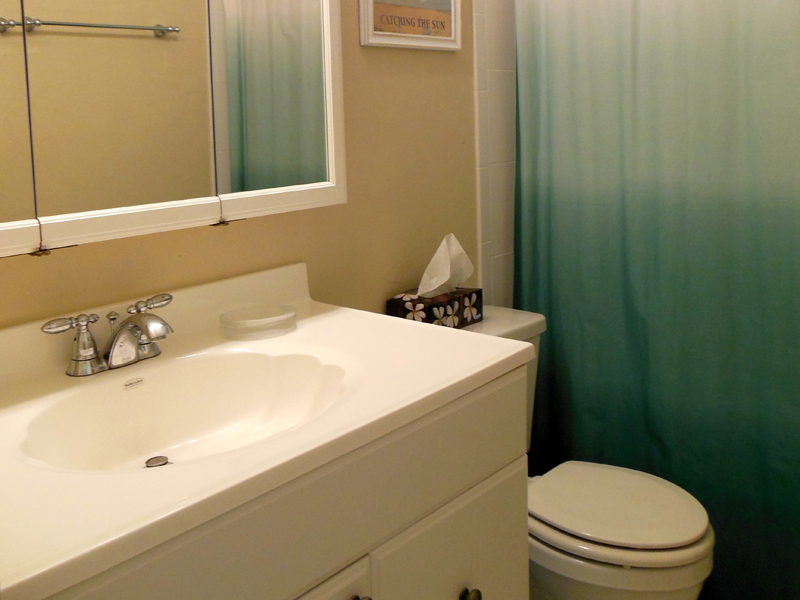 The guest bath is conveniently located next to the guest bedroom and includes a toilet, sink and full shower with tub. 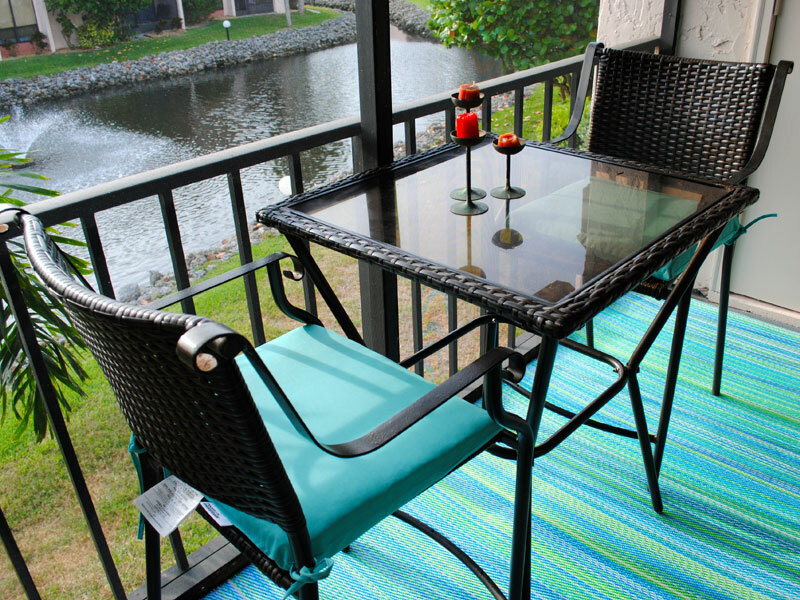 The screened lanai faces the lagoon and includes a table and chair set perfect for enjoying a morning cup of coffee or an afternoon refreshment. Additionally, the storage closet houses beach chairs, an umbrella and other accessories to enjoy your day at the beach. 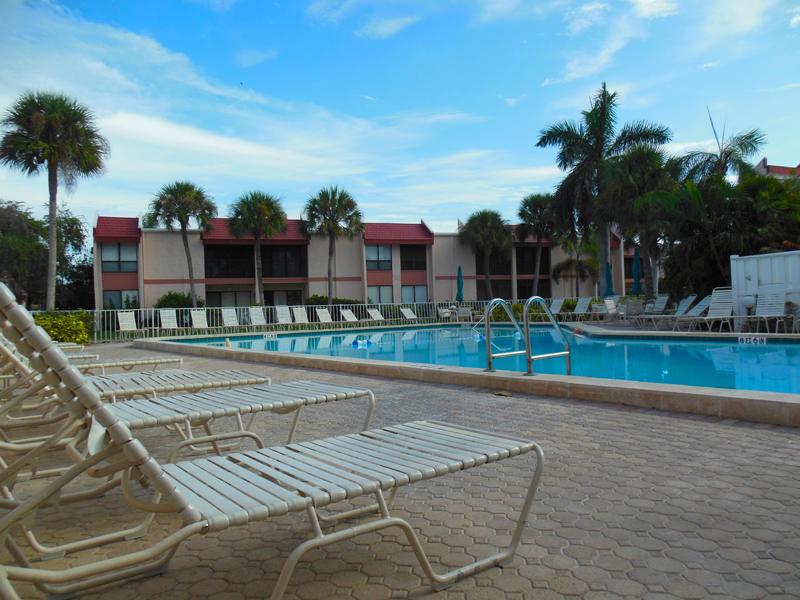 Take a dip in the largest heated swimming pool on the island only steps from the unit.